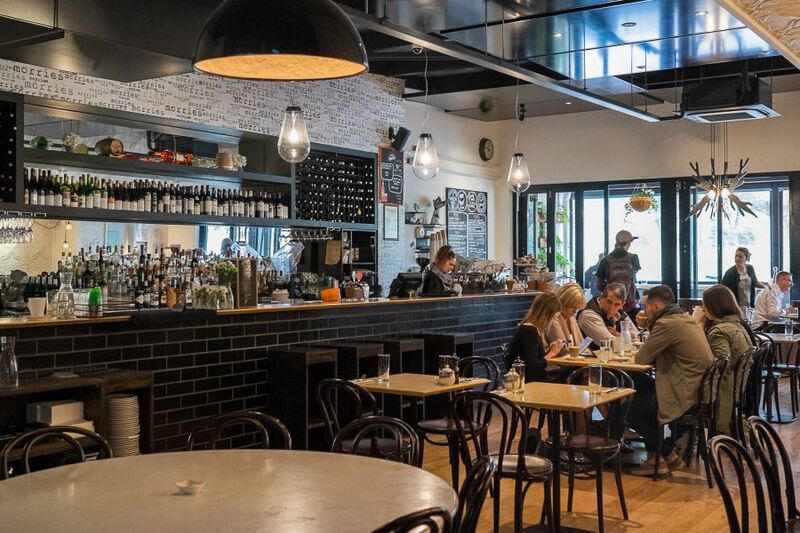 To eat your way through the fantastic restaurants, wineries and food producers in the Margaret River region, you need to venture by vehicle beyond Margaret River itself; but there’s also great grub to enjoy right in the town centre. 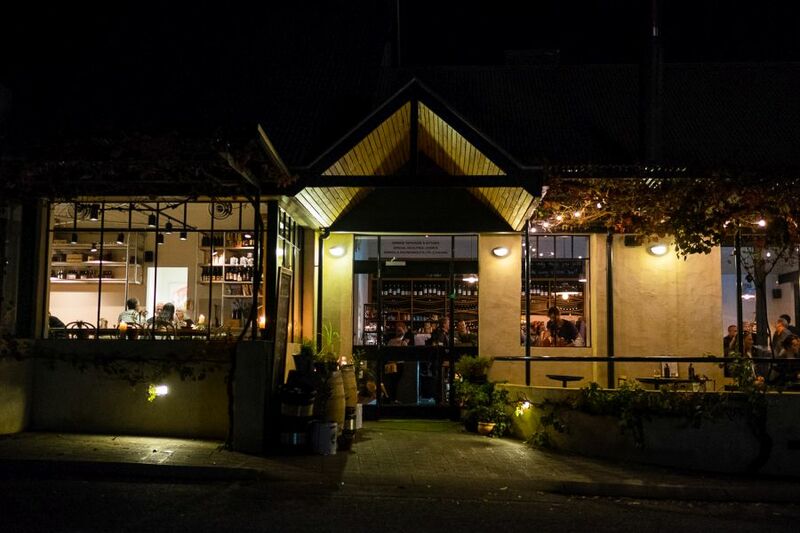 On our recent trip to the region as guests of the Augusta Margaret River Tourism Association, Jac and I checked out three popular eateries located on the main street, Bussell Highway. It was approximately 20 minutes drive into town from our accommodation at Bettenay’s. 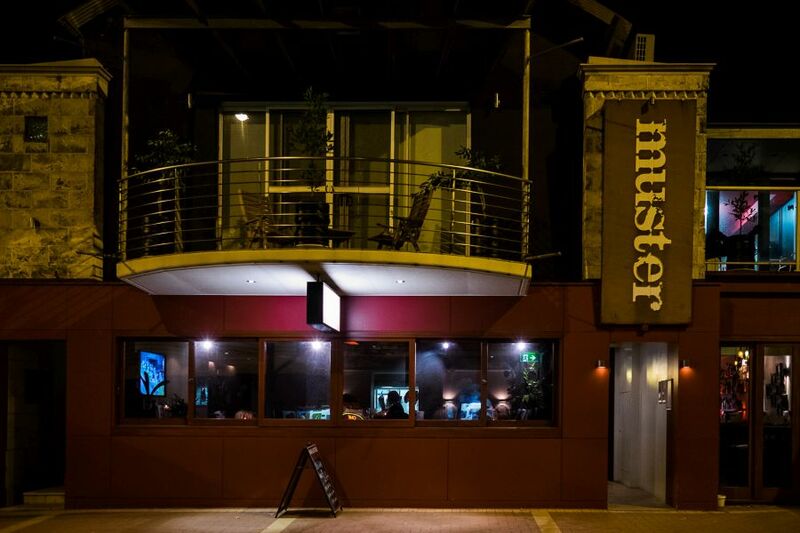 We’re big fans of chef Russell Blaikie and have enjoyed fantastic meals at Must Winebar and Must Margaret River – which is now known as Muster Bar and Grill. We had dinner at Muster on the first night of our trip. 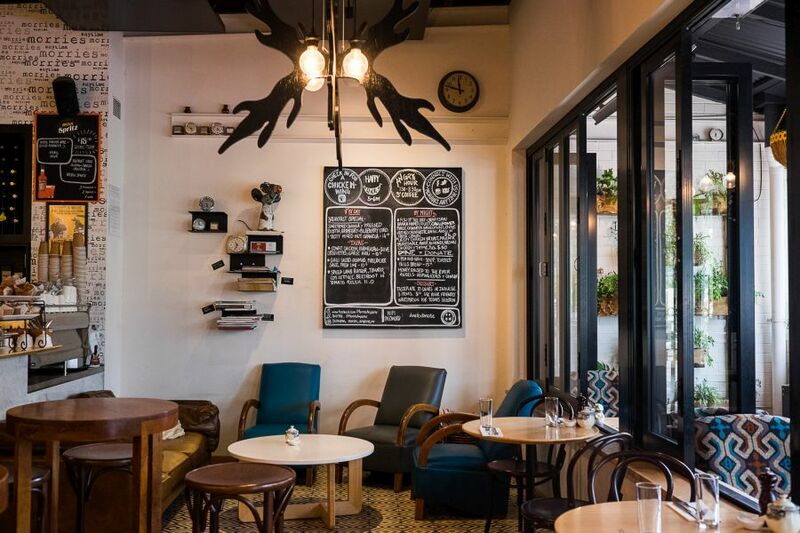 The place still has the familiar Must feel: floor to ceiling wooden wine racks that separate the bar from the dining room, converted wine bottle lamps hanging in the bar. Must signature dishes are on menu, including the wonderful Butterfield beef burger and angel hair pasta with crab and chilli. We started with half a dozen freshly shucked oysters for Jac (with red wine and shallot vinaigrette $3 each, and ‘Cape Mentelle’ caviar chardonnay $3.50 each) and polenta bites, deep-fried crumbed cubes of polenta served with tomato chilli jam (AU$10 for 6 bites). 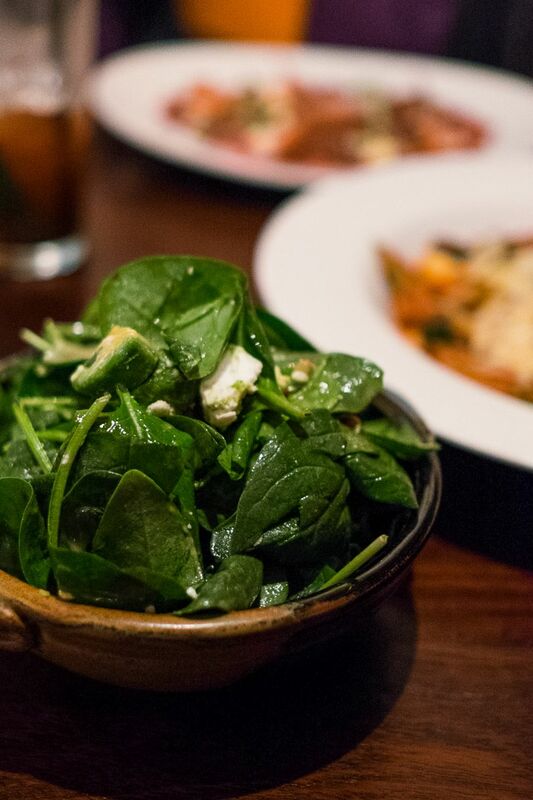 For her main, Jac ordered a starter dish plus a spinach salad. 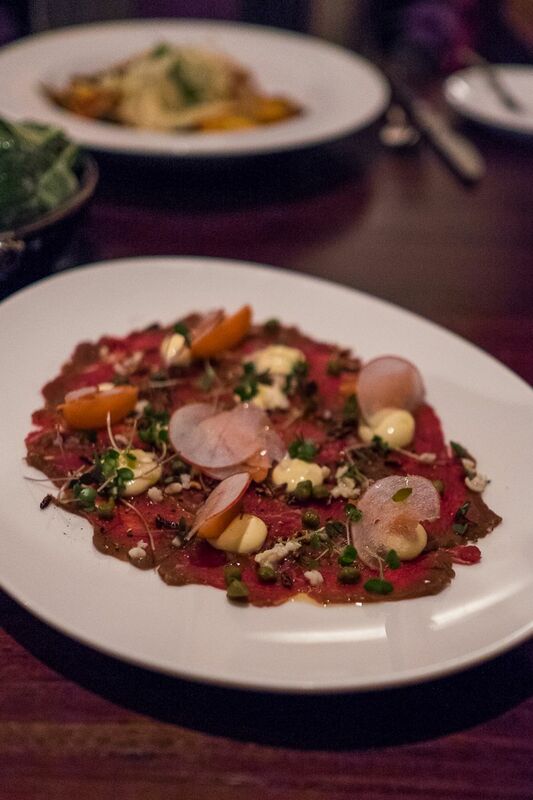 The beef carpaccio was a meaty yet dainty presentation, thin slices of raw beef laid neatly on the plate, every piece meticulously adorned with grains, micro herbs, aioli and pickled radish. 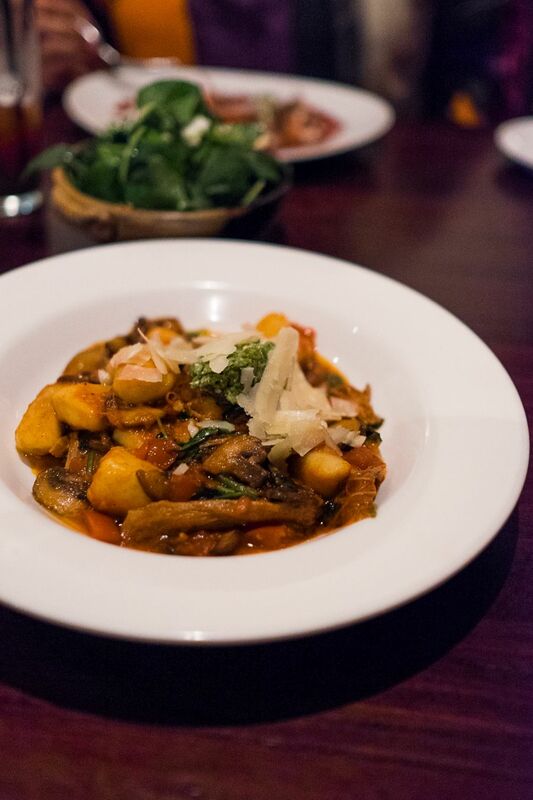 I ordered the gnocchi with Arkady lamb, in a rich sauce with mushrooms, soft cooked tomato and gentle chilli heat. The lamb was outstanding – fall-apart tender and unbelievably flavoursome. Weeks later, we were still taking about the lamb – I’d eat this again in a shot. It was a busy and noisy Thursday night dinner. 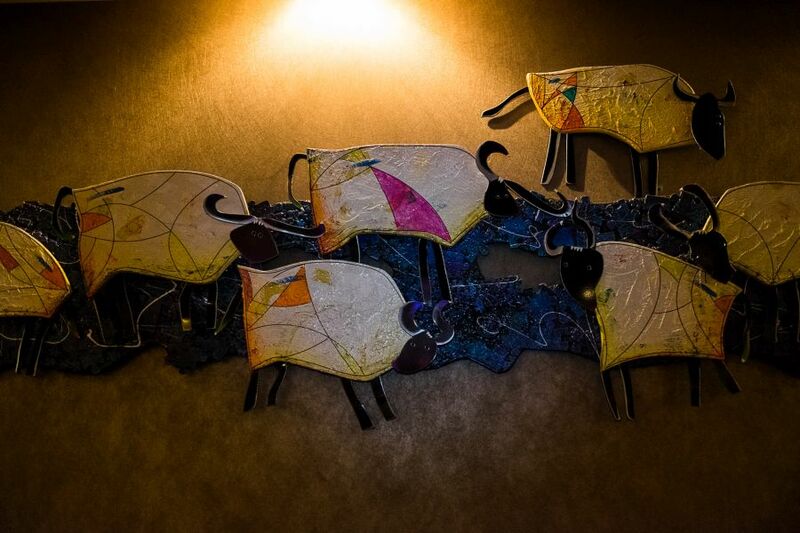 Not the venue I’d choose for deep and meaningful conversation, but for us, a really nice meal and an easy night out. Seriously oh, THAT lamb! 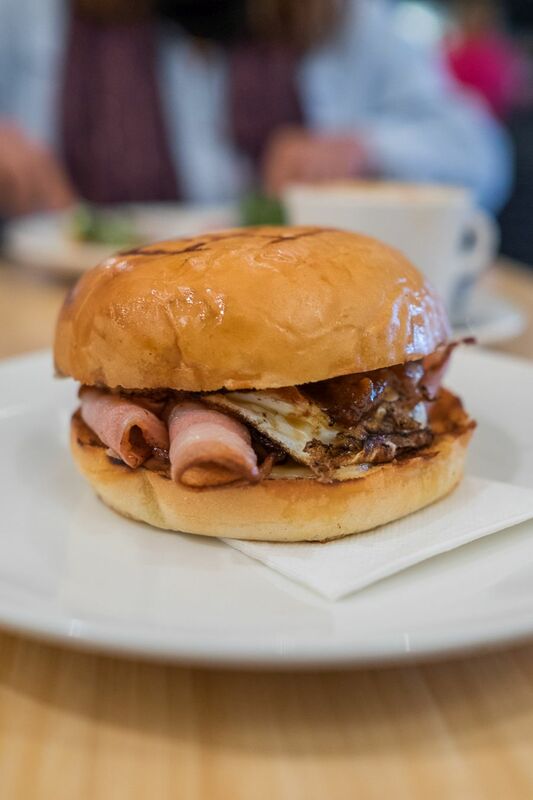 I had heard great things about the Morries breaky burger and I now can tell you: they’re all all true, magnificence amplified when you’ve got that burger in your hands. 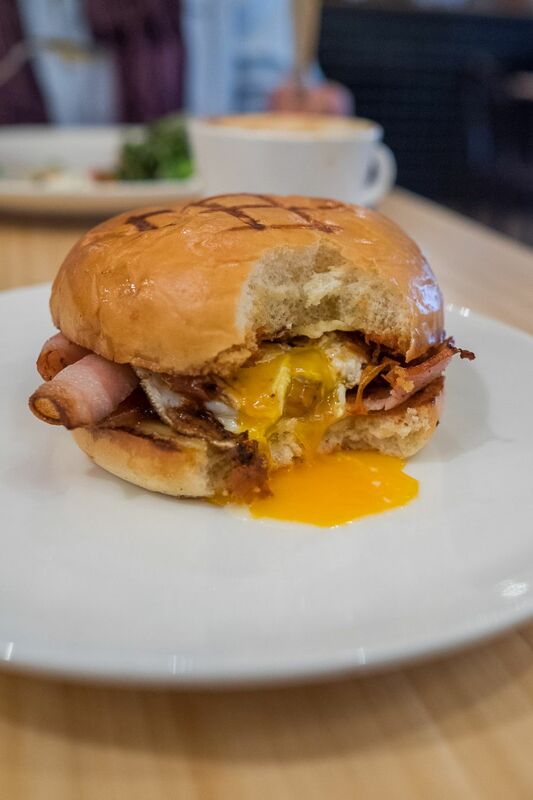 The chewy brioche bun is made by the Augusta Bakery, and it’s filled with plenty of bacon from The Farmhouse, smoky tomato relish, aioli, Swiss cheese and a crinkly fried Margaret River Free Range egg with a porntacularly soft oozing yolk. It got messier with every bite, but gosh, it was good. If I lived in Margs, I’d want this regularly. 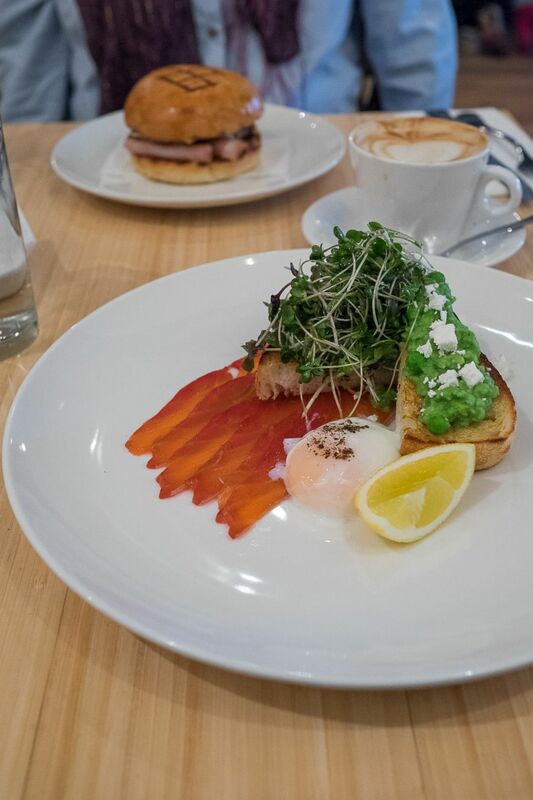 Jac ordered the beetroot cured salmon, flame tree-coloured and served with fresh herb salad, crushed peas and crumbled feta on toast, with a jiggly 64-degree egg and a wedge of lemon. 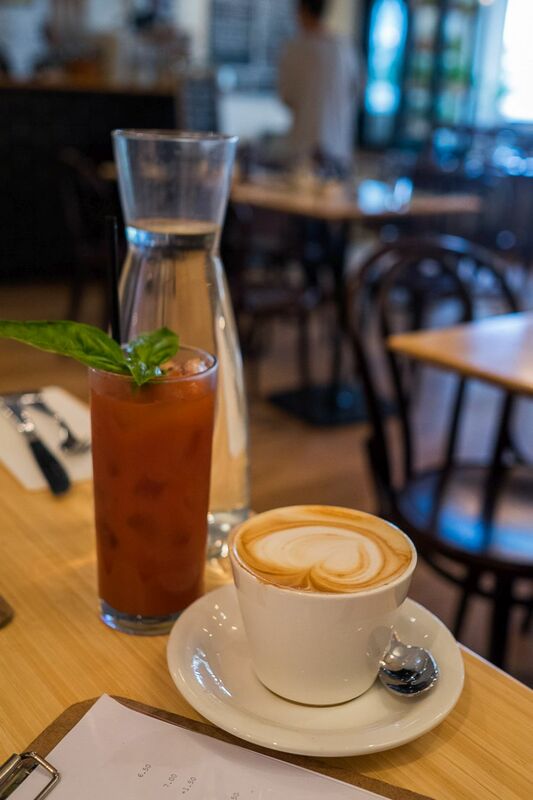 At night, Morries is a lively tapas bar and restaurant, but in the morning, it’s an easy-going, friendly cafe, opening its doors daily at 7.30am. We’d have loved to stay longer, relax with another round of coffee and watch Margaret River wake up – but we had an itinerary to stick to. 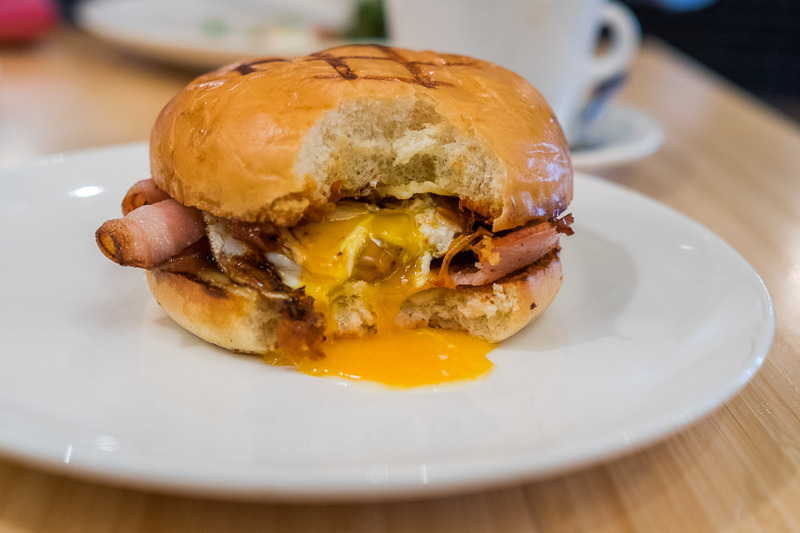 I hope that breaky burger will still be on the menu next time I’m in town. 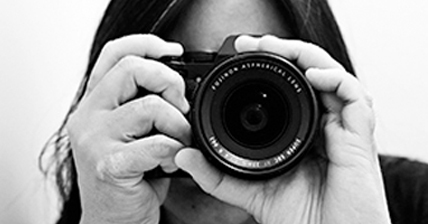 Congratulations to Morries Anytime on being a finalist in the Telstra Australian Business Awards! After two days of wine tasting and over-indulgence, we were glad to share small plates for dinner at Swings Taphouse & Kitchen, where Winos used to be. 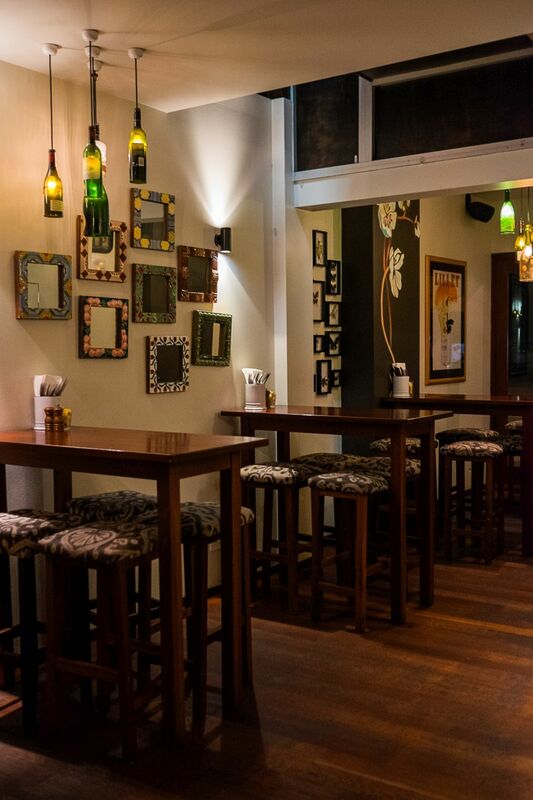 At Swings Taphouse & Kitchen, you can get Swings & Roundabouts wines on tap, an innovative way to deliver ‘drink now’ wines by the carafe or the glass. Tempting as it was to try the tap Chenin Blanc, we decided a break from the booze was sensible and necessary – so instead, we enjoyed Swings’ housemade lemonade, which was pleasantly tart and very refreshing. 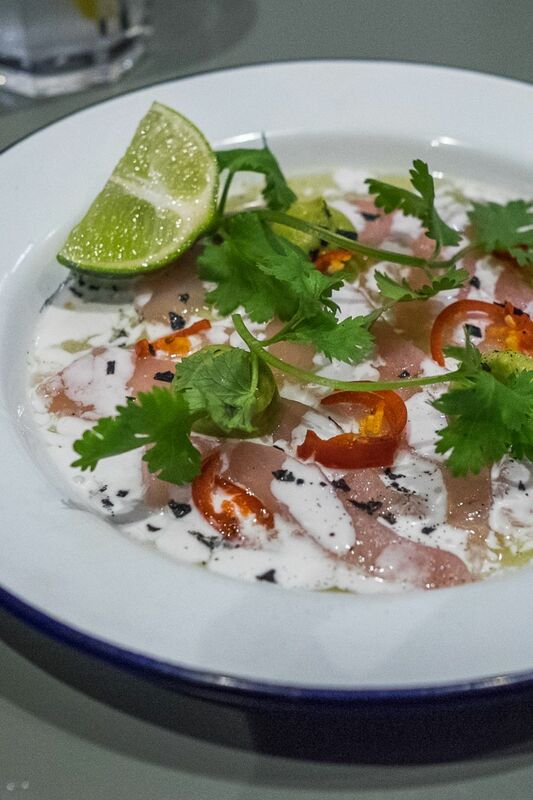 Raw fish isn’t usually my first choice on a chilly autumn night but the kingfish ceviche was immensely appealing after a day of rich food. It was fresh and light, juicy and piquant, coconut milky cool with bursts of red chilli heat, everything we realised we craved as we devoured the tender strips of fish. 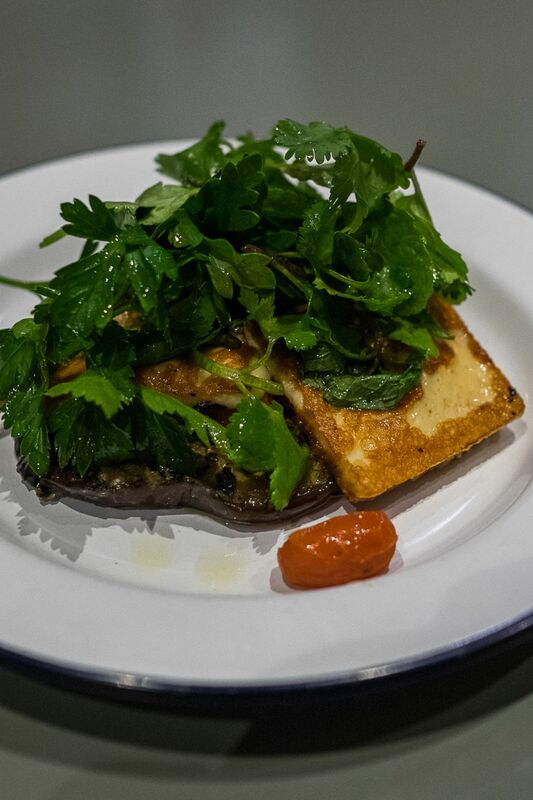 Marinated eggplant and grilled haloumi, a match made in heaven – enticingly salty and slightly greasy, hidden beneath a fragrant herby forest and squeaky where it should be. 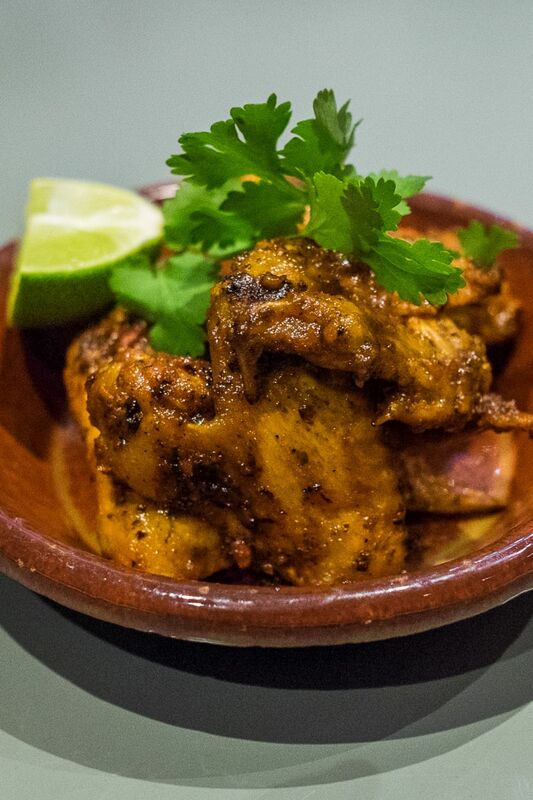 Our last savoury dish consisted of three fried harissa chicken wings, enormous wings apparently from 747 chickens, served with a wedge of lime for squeezing to make them even better. We reduced these wings to a pile of well sucked bones. My mum would’ve been impressed. I spent dinner staring at the blackboard specials on the wall in front of me and I guess the power of suggestion did exactly what was intended. 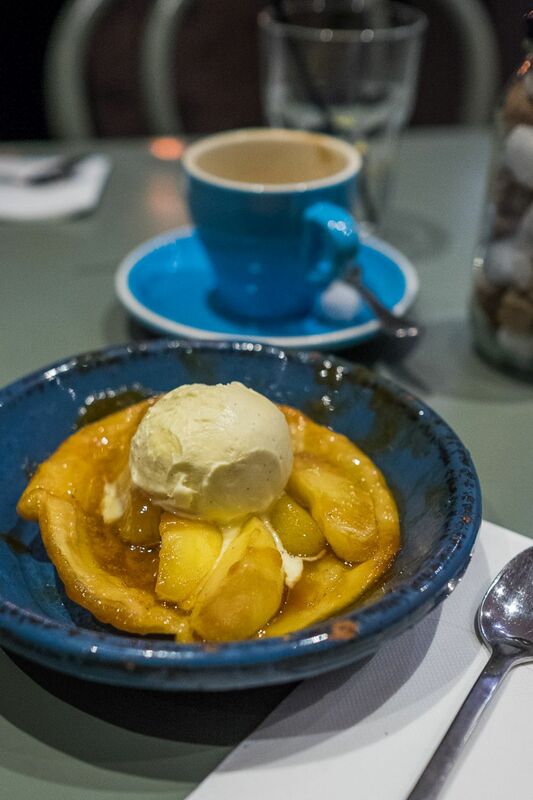 By dessert time I had to order the apple tarte tatin, served with vanilla bean ice cream. The magic ingredient was sticky, golden caramel: caramel-coated baked apples in a sticky pool of caramel in buttery pastry. 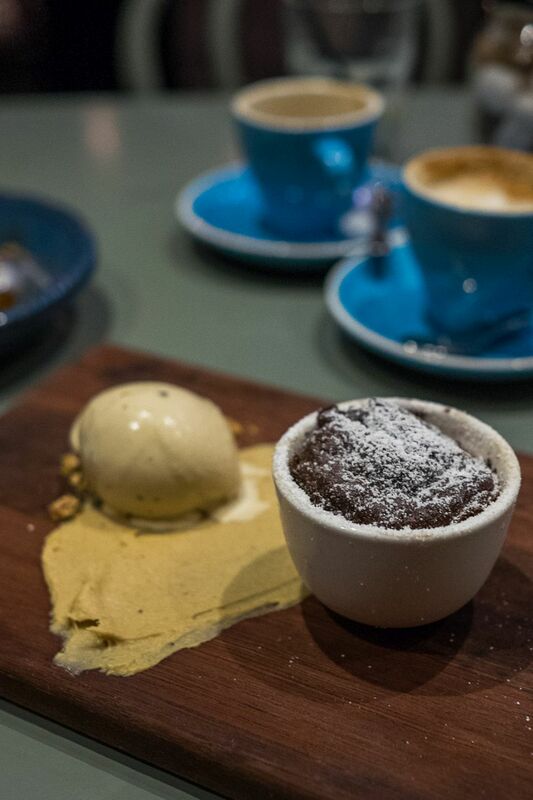 We shared a second dessert – a gloriously molten dark chocolate souffle with banana toffee puree and coffee ice cream. The banana toffee puree was smeared on the wooden board so it needed to be scraped off with a spoon. I’m not a fan of the artistic smear as a plating technique because so few things look attractive when smeared on a plate – I can tell you that banana puree isn’t among them. It was delicious, but resembled spilled hummus or baby food (already mushed up on the table by baby). It was a really enjoyable meal. I always want to try everything but even gluttons have their limits – and that’s what ‘next time’ is for. Hopefully we’ll be up for a taste of the wine on tap, and I’d love to sit on one of the stools facing the wood-fired oven so I can watch ‘live pizza TV’… while maybe eating a Swings wood-fired pizza. But yes, I admit, these were my thoughts as I sat licking caramel off my fingers. Prices have been included in this post for your information, but our meals were compliments of Muster Bar & Grill, Morries Anytime and Swings Taphouse and Kitchen. 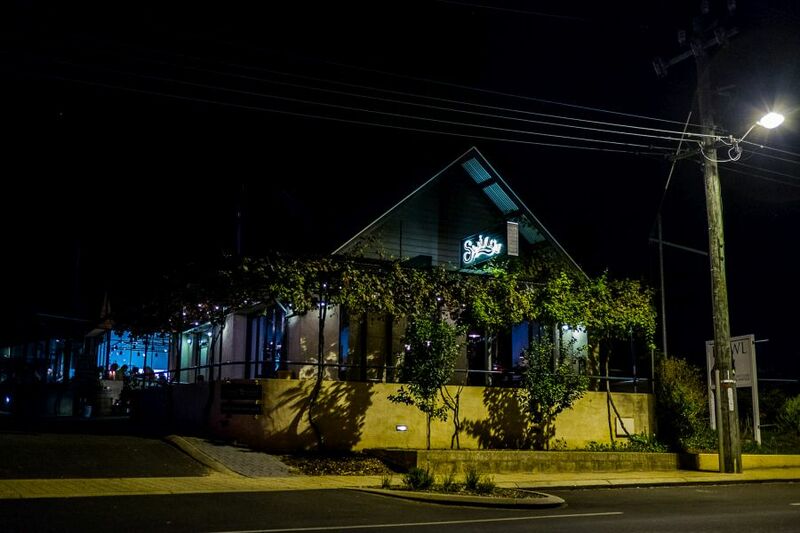 These are just three eateries on Bussell Highway in Margaret River – there’s plenty more to check out, but make sure you’ve got your eating pants on.